Yes: Vintage dinette chairs can be reupholstered successfully. 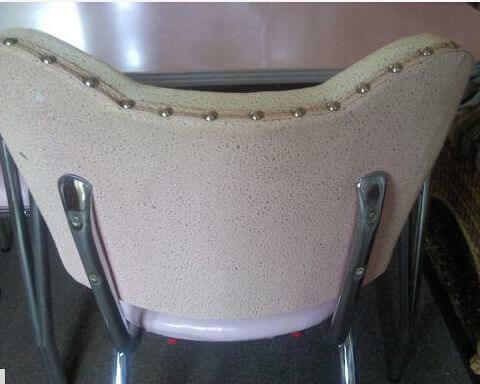 The seats of Laurie’s chair were in fine shape, but the original backs had seen better days. 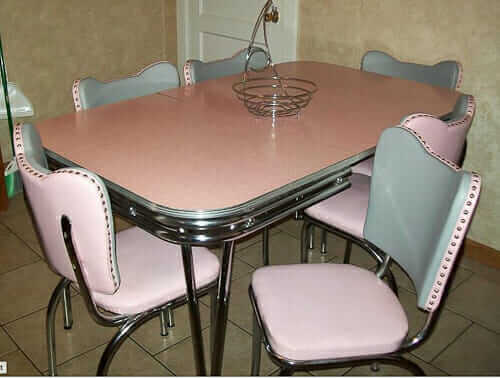 She found pink and gray marine-grade vinyl online and then, someone locally who reupholstered them for just a very reasonable price — including supplying and adding the upholstery tacks. I actually took the chairs — just the backs — to a fabric upholsteror in Rochester, N.Y. She did them for just $25 chair!!! They came out BEAUTIFUL! I ordered the material online myself and saved even more… It is marine grade vinyl and matched PERFECTLY! Hey, $25 per chair sounds like a fantastic price to me. But readers, if you can’t find such a bargain — and have the moxie — I found this video from Sara at Pink of Perfection with instructions on how to get a professional look. Argh — heat is required to get the edges all smooth — so this looks a bit tricky to me. Be safe. 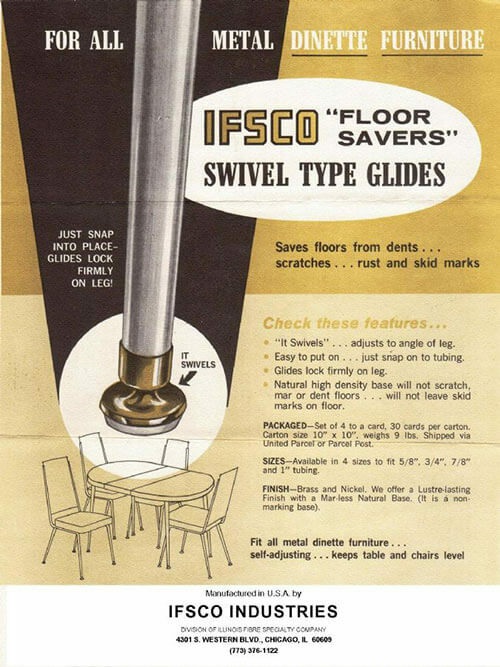 I also have several stories on where to buy retro style vinyl and even real Naugahyde — these are all filed in my category –>Remodeling Basics / Furniture. Hi I have some chairs I’m looking to have done. I live in Rochester. Where can I contact u? What’s the name of your place? Hi Pam, I am trying to reupholster some chairs very similar to those featured in your article above. Unfortunately, the link to the video does not seem to be working? Do you have another video our DIY source you could recommend?